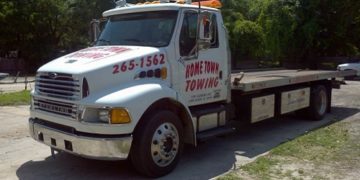 Home Town Towing, located in Panama City, is a full service towing company in business for over 28 years. We offer quality customer service with hands-on owners and operators. We have very competitive rates and a variety of towing and recovery services that can help anyone stranded or in need of roadside assistance. 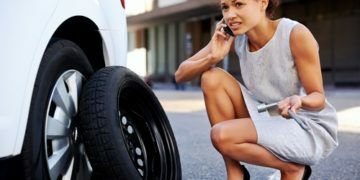 Are you stranded on the side of the road? Did you run out of gas? Do you need a junk car removed? We can help. We are always available, so do not hesitate to call us for your next emergency. I had wonderful service from this company. My friend recommended Hometown Towing and when I called them they came out immediately, I didn't have to wait long and they informed me of everything that would happen and had low rates. Thank you for everything. These guys are amazing. They got my car out of the woods after I had an accident. I called and they were there in ten minutes. I thought there was no way they could save my car without damaging it anymore but they did it in less than fifteen minutes. Definitely using them again. Thanks Guys! Amazing towing service! Home Town Towing personal moved my stalled car out of the road. This service was perform free of charge. We would highly recommend this towing car. Thank you Home Town Towing. My daughter was stranded with her broken down car late at night. Your courteous and helpful driver came to her rescue. Thank you for helping our daughter when we couldn't be there for her. I don't normally write reviews for anything. But my driver (forgot his name) was excellent. He was very professional, and looked out for me on the best place to take my car. I would highly recommend this towing company for anyone in need. Billy, the one who came and got me and my little brother, was very kind and helpful. He even let my little brother be involved and was very helpful. GREAT SERVICE!! Never been towed, never want to again, but if I ever do, he is the man! Cheapest place too! Also was there in less than half an hour! 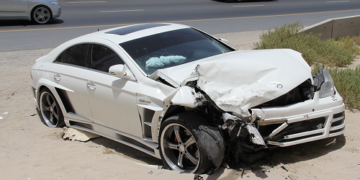 Home Town Towing takes pride in setting the standard for premier towing & roadside assistance services. We aim to continuously exceed the expectations of our client and to deliver quality towing services to the state of Florida. Our technicians are fully trained and educated in providing a safe and friendly working environment. We offer quality customer service along with very competitive rates. Building long-term customer relationships founded on high quality performance is the cornerstone of our business. Why should you settle for anything less?